During the process, they learn the history of how they became dispossessed of their lands and government. The event was one of numerous evictions and land rights actions that took place in the 1970s and 1980s. 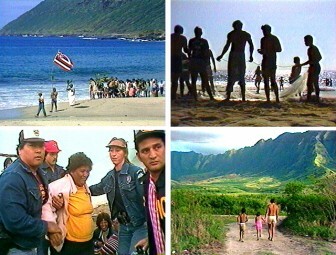 Poka Laenui, Eddie Pihana, Stella Pihana, Irene "Tiny" Maynard, Rocky Naeole, Kawehi Kanui, Sam Mahiai, Kuumealoha Gomes, and Elaine Keliiheleua.